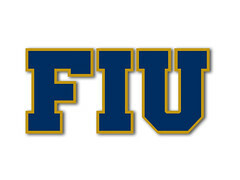 As we close in on signing day, FIU has handed out an offer to a FL CB. His Twitter is very pro FIU. His film is solid. Multiple INTs, good ball skills, fluid hip movement, but not sure about top speed. Can't find much else online about Jabril. It's an offer handed out, let's see if he takes it. Good stuff. He'd be a great asset to our team. I have to follow him and see who else he's visiting. Looks like Troy has offers and looks from UCF and GaTech. Those are hard schools to compete with right now. If he wants to stay local FIU and UCF give him that (FIU being the most local). I wonder which local targets Coach Harris is checking out? James Morgan, a grad transfer QB from Bowling Green, is also reportedly officially visiting FIU this weekend. He has 2 years of eligibility wherever he lands, as he is expected to graduate this semester as a redshirt sophomore. Interesting... Morgan was a 4-star prospect out of high school according to ESPN and 247 Sports (not the composite). Morgan's play statistically regressed last season and he lost the starting QB job halfway through the year. I did a bit of quick research on him, and BG fans seem frustrated by his inconsistent accuracy. From what I've seen on tape, he has a big arm and can make all the throws. His mechanics seem a little clunky though. I'm all for bringing in multiple QBs. The extra competition can only help. The problem is, even with these new guys coming in (Lynum and any others), they will only have the summer and fall camp to learn the offense. That isn't a lot of time. Odds are we either see Wiggins or MA as the starting QB to start the season. Thanks for the heads up, 'Fanatic. I'd rather have an experienced QB, even a grad transfer, for at least one year. No way MA should start. Seriously, the other QB's we have coming in cannot be worse. It's just not possible. I know the frustration. During the Turner years I thought MA could manage a game under the correct scheme. He did win a state title in Central and broke all kinds of Dade passing records in Homestead. But after watching him now with Turner and Butch, I agree he is not made for the NCAA game. At least not for the OL we have. It's truly sad that We've watched two well loved local HS guys crash and burn at FIU in EJ and Maurice. Hopefully he switches to WR and contributes like the leader he is! I'd be ok with Kaylan or Caleb as a worst case. I for one believe freshmen/red shirt freshman can lead teams too. But I would feel more comfortable with a transfer. Note he said the same thing about his Georgia Tech visit, but when you think about the fact that he decommitted from WKU right before the FIU visit, it makes you wonder... If I had to guess, I think Ingle is part of the signing class in Feb.
As it has become usual, my guess is exactly as yours. I would think (part of it is hope, I know) Troy came out of the visit ready to become a Panther. Still, I just read in Rivals database that he is slated to still visit WKU in early February. That’s also a new twist, that if true, muffles this thing up.